A secret book has been discovered... The handwritten pages reveal notes about a mysterious, pointer-finger sized species called Trickits. With Field Missions propelling kids into fresh-air adventures, the world of this little-known, wee but mighty species is uncovered! Do you have what it takes to be a... Trickit Trekker? "Instant camp for kids! " "The Trickits experience delivers the wonderful wilderness of childhood." Dream It! Draw It! Think It! Do It! Loose b&w line art, hand-lettered text, and a quirky sense of humor give this activity book a casual, off-the-cuff vibe, as though readers are borrowing Watkins’s own notebook. Among the recurring activities are a “boomerang” feature that encourages acts of kindness (“What goes around comes around”), scavenger hunts for various settings, poetry-creating exercises, and assorted drawing and lettering prompts, such as lining up birds on a telephone wire or filling in a blank picture frame labeled “The Tiniest Tourist.” Nods to German, French, and Spanish phrases are just a few ways this book aims to stretch readers’ vocabularies and intellects, even as it stays committed to off-kilter creative fun. Ages 7–12. Courtney's Creative Adventures: Zillions of Ideas for Things to Squish, Wonder About, Play, Squint At, Invent, Decorate, Do, Smell, Imagine, Investigate, Paint, Make, Puzzle Over, and Dream! by Courtney Watkins offers a plethora of suggestions for hands-on fun (one per page), such as creating a "time-travel cottage" out of a cardboard box, hosting a tea party and organizing a scavenger hunt. 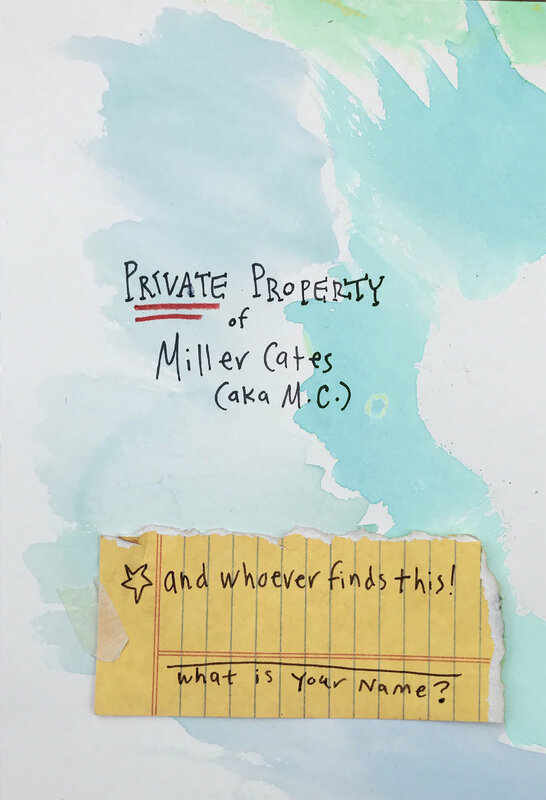 The author's childhood photos and doodles illustrate the offering in scrapbook style; fill-in-the-blank pages encourage interaction.